Israel kicked off Space Week, all while raising another $75M for three native startups. Israeli VCs landed in China, and we spotlight two Israeli entrepreneurs. In just the last week, $910M was raised through acquisitions, including ecommerce giant Amazon’s first foray into Israel. Learn which 12 Israeli startups are inventing tech for the disabled population. Plus, the local high schooler-turned-CEO. The Startup Nation can already claim an impressive start in 2015. In just one week, Israeli startups raised $910 million through acquisitions which totaled $770 million, and funding rounds, at $140 million. The largest of these deals, which comprised almost half of the total Israeli acquisitions from last week, was Amazon’s purchase of Annapurna Labs for $370 million, marking Amazon’s first acquisition in Israel. Geektime created a pretty neat infographic to present all the impressive deals: See the infographic. Sometimes lost in the excitement around startups coming out of Israel is the fact that many of them are dramatically changing lives. Did you know? Israel has an entire tech sector dedicated to enabling the disabled. The impact Israeli tech has on people is almost biblical in nature: whether it’s helping quadriplegics to walk or the deaf to hear and the vision-impaired to see, Israel is a leading medical innovator. OurCrowd’s Zack Miller highlights a dozen tech breakthroughs that improve the lives of the disabled. Read the list. There’s something unusual about one of Israel’s startups: Its CEO is still in high school. 17-year-old Iddo Gino is a senior at the Hebrew Reali School in Haifa and hopes to finish an undergraduate degree in computer science at the Open University next year. When he’s not studying in school and online, Iddo heads RapidPay, a year-old company whose four employees have created a mobile in-store and online payment platform for customers – mainly fellow teenagers – without a credit card or bank account. Meet Iddo. Citigroup is betting on M&As in Israel’s technology industry to drive growth as giants from Google to Cisco snap up companies. “There’s an active M&A scene in the high-tech industry,” Neil Corney, the bank’s chief executive officer in Israel, said in an interview from Tel Aviv. “We expect to see strong deal flow in that area, whether it’s foreign companies buying local startups or IPOs of high-tech Israeli companies abroad.” Learn more. Israel is rightly proud of its unicorns – Waze, Wix, Outbrain, Mobileye – companies valuated at $1 billion or more. But there’s another unicorn you may not have heard of: ironSource. Founded just five years ago, ironSource has a valuation over $1 billion – which it earned one download at a time. In an interview with Geektime, ironSource CEO Tomer Bar-Zeev discusses the company’s success. Get to know Tomer. A $67M acquisition in the Startup Nation this week. Hacking and private data theft are making headlines more and more; check out the 12 Israeli cyber-security firms listed below. Ultra-Orthodox Jews are making entrepreneurial waves. When Adam Neumann and Miguel McKelvey started renting out office space through Craigslist in 2008, they didn’t envision that by 2015 they would own a $5 billion empire transforming office real estate as we know it. Neumann says that one of the things that inspired him to launch WeWork was the kibbutz he grew up on. No rest for the Startup Nation: The Israeli startup ecosystem has hit the ground running in 2015. Learn the latest between the amount raised by Israeli VCs, the growing list of female entrepreneurs to watch, the Israeli companies at CES this year and more. 2015 is shaping up to be a great year for investments in Israeli startups, especially in light of the fact that in the past few months leading Israeli venture capital firms have closed new financing rounds, culminating in a total of $855 million. These funds include names such as Carmel Ventures, Magma, JVP, outgoing partners from Greylock, Glilot Capital Partners, Canaan Partners Israel, and more. The investments, intended mostly for Israeli startup entrepreneurs, were raised over the past six months. Learn more. Tens of thousands of new products and technologies were on display at International CES this week in Las Vegas, but only 28 of them were chosen by veteran CES and electronics industry judges as being worthy of the show’s “Best of Innovation” award. Among those 28 innovations was a portable printer made by Israeli startup ZUtA Labs, a palm-sized device that runs across a page and prints out text exactly as a printhead would do in an inkjet printer. Learn more. Silicon Wadi was relocated to Las Vegas this past week, as numerous Israeli startups gave CES 2015 attendees a taste of what the Startup Nation is all about. OurCrowd’s David Stark highlights 10 innovative Israeli startups that caught his attention at CES 2015. Last year may have signaled a turning point for the Startup Nation, with more companies opting to stay independent by listing their shares on a stock exchange and fewer choosing to be bought out by foreign multinationals, figuresreleased by the IVC Research Center showed. Learn more. This past week, we waved 2014 goodbye and welcomed in the new year – but not without a bit of self reflection at what an amazing year it’s been for the Startup Nation. In 2014, Israel reached new heights – including perhaps a new nickname, Scale-Up Nation. 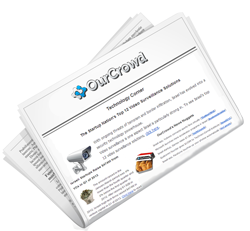 And with so much going on here, OurCrowd, too, broke new records this past year. Read on for the highlights. 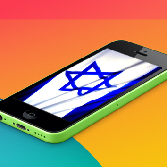 As we enter 2015, it’s safe to say that 2014 may have been the best year yet for Israeli tech. According to data collected by PwC, this year saw a total of 70 Israeli high-tech exits, reaching a record amount of $15 billion. From the largest number of Israeli IPOs since the dot-com boom, to the faith placed in Israel’s breakthrough cybersecurity and big data sectors by governments and multinational companies, this was a year of unprecedented progress and earnings for the Startup Nation. Learn more. In an effort to differ from the usual wave of ‘top 10’ lists published at the end of the calendar year, the Times of Israel decided this year to highlight the 10 Israeli tech ideas that changed the world in 2014. OurCrowd is honored to be listed, along with our portfolio company ReWalk, as part of the selected group of technologies and companies that have made an impact on the way the world does business, treats health problems, deals with environmental issues, or keeps its data safe. See the full list. 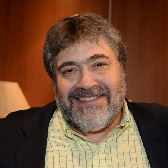 In 2014, OurCrowd reached new heights investing in Israeli and global startups. As we continue to build on the strong foundation we set down just two years ago, OurCrowd managed to shatter records and rise even higher as a leader on the equity crowdfunding scene. To celebrate, OurCrowd put together a 2014 Year In Review infographic that illustrates this past year’s achievements, triumphs, and milestones, as we continue to climb throughout 2015. View the inforgraphic. Forbes Magazine’s ’30 under 30′ prestigious list, now in its third year, ranks the best of the world’s brightest stars under the age of 30 in 15 different fields. Two Israelis were ranked in the 30 Under 30 In Technology category, Taykey’s CEO & co-founder Amit Avner and Meta’s founder Meron Gribetz. See the full Forbes list. Israeli startups that want to make their case to Chinese investors will have an opportunity to do so virtually from the comfort of Google’s Tel Aviv offices. As part of the 1st-ever Virtual Pitch contest sponsored by China’s ZVCA, the startups will broadcast their pitches online to investors in Beijing tuning in to check out the new technologies. Learn more. Ladies and gentleman, put your hands together for the top Israeli startups and innovations for 2014. In addition, an Israeli startup raises $50 million to revolutionize the way we travel. Hear trending Israeli entrepreneurs’ journeys to success in the Startup Nation. 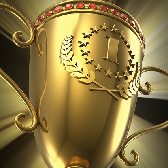 And the ‘Person of the Year’ award goes to… find out below. 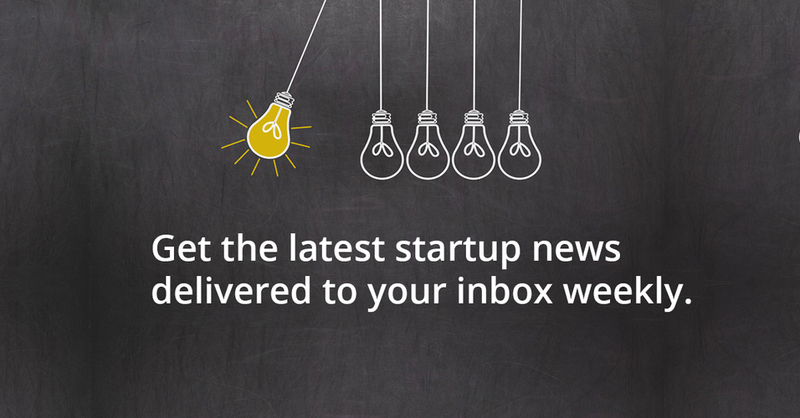 Start getting this weekly newsletter via email: Subscribe now. Moovit, an Israeli startup that has developed a crowdsourced navigation app revolutionizing the way we get about on public transportation, has announced a financing round of $50 million. By combining public transport data with live inputs from the crowd, Moovit gives commuters a complete real-time snapshot of what their trip will be like and suggests the fastest, most comfortable routes. 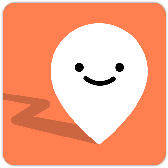 The Moovit app currently has 12 million users in 400 cities around the world. Learn more. Israel fosters a culture of exceptional innovation, and in 2014, the country out-did itself, creating cutting-edge technology, enabling breakthrough medical devices and vaccines, new platforms for businesses, and concepts revolutionizing the workplace environment. On the eve of 2015, NoCamels listed the Israeli companies and innovations that made 2014 a year to remember. Among the winners were OurCrowd’s portfolio companies Consumer Physics (SCiO) and ReWalk. See the full list. OurCrowd’s founder & CEO Jon Medved was named ‘Person of the Year’ for 2014 by CrowdFund Beat, an online source of news, information, events and resources for crowdfunding. The CrowdFund Beat editors explain that “with both a funding model to engage the crowd with ‘smarter investing’, and then tapping into global audiences, OurCrowd characterizes what ‘crowdfinance’ was meant to do.” Learn more. It is thanks to the now world-famous book co-written by Saul Singer and Dan Senor that Israel has become known as the ‘Startup Nation’, a term they coined. Singer has been a journalist for many years, and has been a thought-leader to the Israeli tech scene through his global tours, speaking engagements, and contributions to leading and influential publications across the web and print. Get to know Saul. Alon Ben Cnaan recently launched a new venture, Startup Link, that may make breaking into international markets easier for new startups. Born and raised in Bogota, Colombia, Ben-Cnaan moved to Israel at age 17. Following his army service, Ben-Cnaan enrolled in the Technion where the fire was sparked and he decided to join the adrenaline-fueled world of entrepreneurship. Meet Alon. 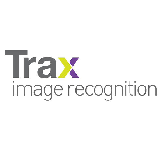 Israeli-Singaporean company Trax Image Recognition, which provides in-store shelf monitoring, analysis and technology powered by image recognition, has raised $15 million to expand its global operations with a focus on developing its market share in the US and Europe. In addition, the new funds will allow the company to launch new products and services enabling it to meet the growing requirements of its global manufacturing and retail customers. Learn more. With over 1 million apps available on the platform, Google Play is the world’s largest app store. Each year, Google sifts through the multitudinous apps they offer and puts together a list of the best Android apps of 2014. Among the 75 apps the tech giant has highlighted as the ‘best of the best’ this year in their respective categories, four of them were developed by Israeli companies. See the full list. At the end of 2013, Forbes magazine highlighted “10 Female Founders to Watch out of Israel”. One year later, ISRAEL21c checked in with Orit Hashay (founder and CEO of Brayola) and Liat Mordehay Hertanu (co-founder of 24me) to see if the early hype helped or hindered their paths to success. Listen here. The owner and shareholder of the successful online gambling corporation, 888 Holdings Ltd, Eyal Shaked is also one of the company’s co-founders. When he’s not enveloped in the world of online gaming, Shaked is a “super angel” investor for early stage to A round startup companies, with a focus on those companies looking to disrupt the world of online gaming and gambling, BI, payment monetization, and marketing. Meet Shaked. If you wanted to teach a group of high-achieving students to become more focused and passionate entrepreneurs, where in the world would you send them? The Lassonde School of Eng. at York University knows where: Israel. The country, which has a reputation as a growing startup capital, holds an infectious spirit of get-’er-done, live-for-today optimism. 21 Lassonde students spent 3 weeks in Israel, learning essential lessons about business, life and global markets. Here’s the story. What a week in Israel tech and innovation: Investors, VCs, entrepreneurs and others came together from 27 countries for the first-ever Global Investor Summit in Jerusalem. Beyond this unprecedented celebration and education on investing opportunities in the Startup Nation, we present 10 Israeli startups to watch this new year, a biotech company founded to save a boy’s life, the Israeli ‘sci-tech’ schools, and the way Israel plans to turn its Davids into Goliaths for a change. Starting getting this weekly newsletter via email: Subscribe now. OurCrowd announced that over $4 million had already been invested in the first day of its Global Investor Summit, which brought together nearly 1,000 participants from 27 countries to Jerusalem. The conference opened December 9th with welcoming words by OurCrowd Founder & CEO Jon Medved and Mayor of Jerusalem and former venture capitalist Nir Barkat. Read more about the Summit and sign up for updates on Global Investor Summit 2015. Of the thousands of Israeli startups vying to become global businesses, only a small percentage of them will make it to the big leagues. Everyone wants to bet big on the next Waze, Wix, or Outbrain. So which ones are on the verge of greatness? Here are some up-and-coming Israeli startups that Ben Lang, the creator of Mapped In Israel, believes you should watch closely in 2015. In 2012, Ilan Ganot’s son, Eytani, was diagnosed with Duchenne Muscular Dystrophy, a rare disease whose potential treatments tend to languish in the lab for lack of funding. Ganot doesn’t know much about medicine but he does know finance, so he quit his job at JPMorgan and founded a for-profit company, Solid Ventures, aggressively devoted to identifying, acquiring and developing therapies for the genetic disorder. Top students in Israel gain beyond-their-years access to top military tech at the Israel Aerospace Industries (IAI) industrial vocational high school. Run by Israel Sci-Tech Schools, more than 300 students get hands-on training in the disciplines of aviation mechanics, electricity and energy control, and unmanned air vehicles (drones). They then move on to the air force for state-mandated military service, most likely returning to the aviation industry—often back to IAI, the campus they once called “high school.” Learn more about Sci-Tech schools. Recent talk about the Startup Nation has focused less on the super-abundance of startups and more on the scarcity of big successful companies. While it’s tempting to dismiss the talk of a “scale-up nation” as hype, reforms and exits show that one should not underestimate Israel’s capacity for patience, one of its hidden secrets, in business as in much else. Israelis laboriously laid the foundations of the high-tech boom and they will be equally painstaking at ensuring that the land of Davids can produce its share of Goliaths. Here’s the story.